Marso | 2012 | Sana Ako si Ricky Lee! It has been 3 days since I last posted something on this blog. I was kind of busy and I also thought that I needed some rest from the blog. The first time I started this blog, it is because I was inspired by my favorite Filipino writer – Ricky Lee, to try writing again. It is something that I always wanted to do but my poor command of any written language, except maybe Chinese, seems to prevent me from pursuing that dream. When I first set up this blog, it’s clear with me that I want to write about anything and everything under the sun as along as IT INTERESTS ME. I never thought that the blog would become a Feng Shui blog, well…more or less. I still want to write about food, about my travels, I still want to tell stories, but it seems like that the blog has taken a life of its own. Sure Feng Shui is something that greatly interests me but sometimes writing about it has its down side. I do get a lot of ‘hate’ email and comments from people who says that they’re are ‘Christians’. I delete their comments and sometimes I try not to read them but they do get through me, it makes me wonder whether my posts has become ‘preachy’. I also do get a lot of emails where people share with me their problems. Some of them I share here, but some of them are best not shared because they’re too personal and can be too depressing. 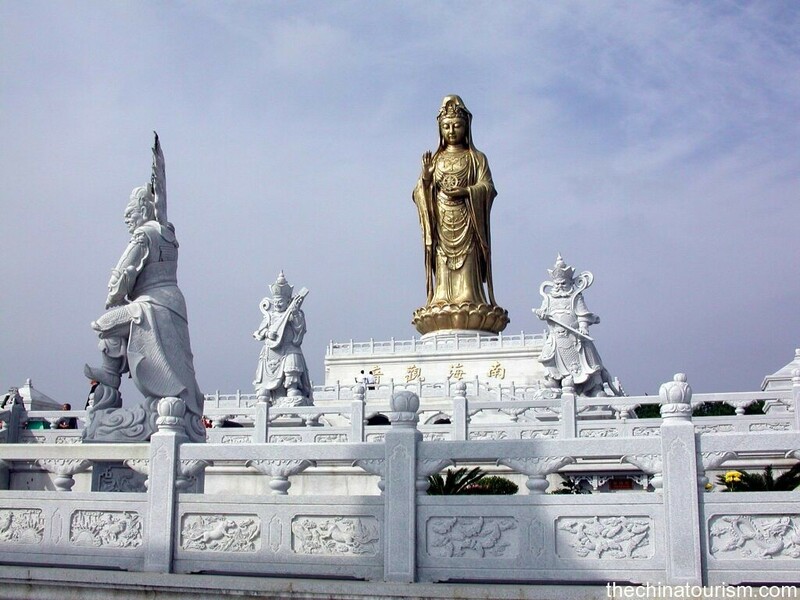 Slowly, I find myself taking more time in saying my mantra and my Buddha offering because I do include some of the readers who I believe needs blessings from the Buddhas, Bodhisattvas, Deities, or Immortals. To be honest, to some extent it has become a burden and sometimes I feel like I’m taking on more than I can really handle. The blog rest is really more than just for me to take time out to rest from writing, but it is really to assess whether I want to continue with the blog. I know it’s quite early for me to feel ‘burn out’ since the blog is only 4 months old but somehow the blog posts about Feng Shui has become some sort of a responsibility. I don’t like that feeling. 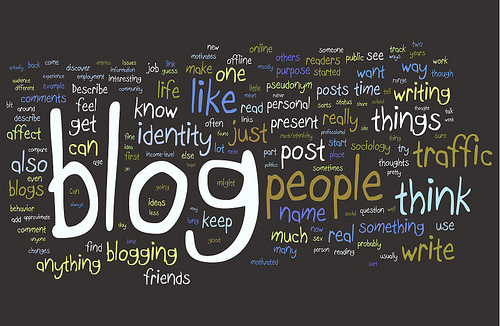 I want this blog to be my outlet and not my responsibility. The three days that I went on a blog rest didn’t prevent me from receiving emails from readers who says that they’ve been reading and following my blog. I also received quite a number of emails asking how come I haven’t been writing, and this I got right on the first day I didn’t post anything. Furthermore, emails about people sharing with me their problems and/or asking for a consult about Feng Shui or how to solve one of their problems, continued. I’m glad that I took a blog rest because I got the chance to be able to read a short online biography of Paulo Coelho. According to Paulo Coelho, he writes primarily because he wants and thinks he has something to say, and in the process he hopes that he’s able to influence, inspire, or help a person. He further said that every writer who has put out his writing into the world has a responsibility to his readers. It’s a responsibility to be honest. This made me realize that I may have been a little selfish. If I simply want to be able to write, then I should have simply kept a private journal. I should be thankful that people do take time out to read my blog and I should even be more thankful that my readers do take time out to interact with me. This is the power of a blog, you get to know whether you’re able to inspire, to influence, and most of all to help. Why do I want to write? Why did I started this blog? Because I want to be able to share something, I believe I have something to share. What Paulo Coelho shared made me realize that I, if I want to continue to write, have a responsibility both to myself and to my readers. I’ve decided that I will try to be more balance, I will write more about the other things that I want to write about, but more importantly, I will embrace the responsibility of the effects of what I write. I will take the responsibility of reading the ‘hate’ mails and look beyond the accusations that I’m an anti-Christ. I will take responsibility as much as I can and say mantras for people who really need them. But more than anything else I’ll take responsibility and enjoy writing what I want to write. In one of my previous posts at the start of the summer season here in the Philippines, I wrote about the different SIGNS OR OMENS OF A BAD TRAVEL LUCK and I also shared some FENG SHUI TIPS FOR A SAFE TRAVEL. However, when we are on a vacation or on a leisure trip abroad it’s very easy for us to get excited and lose our Feng Shui consciousness. The different wonderful site and/or historical or cultural places sometimes cause us to do some Feng Shui blunders. Several years back, I went on a trip to mainland China with a couple of friends, who happens to be married to each other. We mainly stayed in Beijing, and were easily lost in the wonderful cultural sites the place has to offer us. 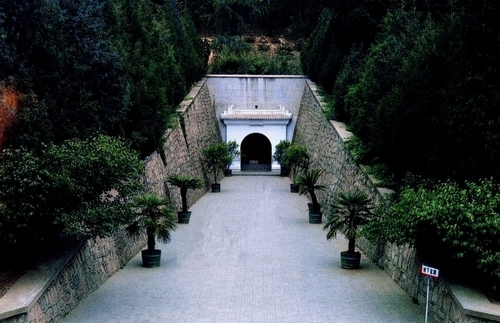 Part of our itinerary is a trip to the Great Wall of China and the famous Ming Tombs. At the Ming Tombs we went down and entered some of the actual tombs and were mesmerize with the rich historical story behind the tombs, not to mention the beauty of the site. Everything in that trip went really well, and we soon came back home and went back to our normal routine. However, the normal routine proved to be abnormal in the sense, we started having different challenges. My problem is about my work and career. I lost some money because somebody stole it from me. I’ve shared about this in one of my first posts. My friends, who are married to each other, had bigger misfortune. A few months after we arrived, my guy friend lost his job, his wife, my girl friend, got pregnant which should be a joyful event but she had a miscarriage on her 3rd month of pregnancy. But more than that they also both went through several years of bad luck even if their Bazi, which was analyzed by a Feng Shui expert, indicated that both of them are going through a 5 year cycle of good luck. It is only when I studied Feng Shui that I realized that the trip to the Ming Tombs could have caused the misfortune that befell us. Another proof that visiting a Yin dominant place can be bad for your luck happened to a former officemate. A and her whole family went to Egypt. As expected they went to visit some pyramid where the whole family went inside the pyramid and different chambers, which as everyone knows are the tombs. Maybe the effect with them is much more magnified because the whole family went inside and was affected by the Yin energy of the pyramid. Right after that trip, A’s mom had cancer, the father’s business started going bad and A herself started doing poorly in her work. Furthermore, A’s older brother started using drugs also. I was no longer working with A when I found out about this, but she decided to ‘consult’ me because she knows of my Feng Shui background. She shared with me that out of desperation with all the bad luck that was happening to their family they consulted a psychic. This psychic told them that the whole family attracted a bad luck because they trespassed into a ‘spirit’ world. 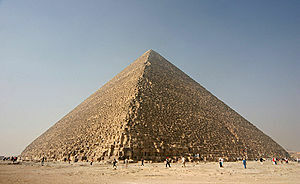 According to A the psychic didn’t know that they went to Egypt and entered the pyramid. A was not actually sure whether the psychic was referring to the pyramid because it happened more than a couple of years ago. When she shared with me the story, I knew right away that the psychic was right and that A was also right in thinking that it was caused by their trip to Egypt. If you’ve read my previous posts, you’d know that living spaces like malls, houses, and offices are Yang dominant places. On the other hand, cemeteries or even morgues are Yin dominant places. We must treat Yin dominant places with ‘respect’ and should not simply go there out of fun. There must be a purpose before we are really ‘allowed’ to go to a Yin dominant place and even then we should take a lot of precaution because going into a Yin dominant place may create some bad luck to the person who went inside the Yin dominant place. The effect may not be immediate, and sometimes if you wear some Feng Shui/Buddhist/Taoist amulets you won’t feel the effect at all, but it’s always better not to tempt fate. One of the most common question people ask is whether there are no natural Feng Shui cures or enhancers. The question is there are a lot of natural Feng Shui cures and/or enhancers, it’s just that sometimes it’s not practical to use them because you have to replace them often, specially if it’s a Feng Shui cure or enhancer that may rot, wilt, or dry. A wilted, rotten, or dried, Feng Shui cure or enhancer will create more negative than positive chi. But I do understand that sometimes why you need to source out your more permanent Feng Shui cure or enhancer, or while you’re saving up for it, you can use some natural Feng Shui cure or enhancer. Before we move forward, natural here refers to Feng Shui cure or enhancers that are given to us by nature. I’ve written about such a Feng Shui enhancer before – Ammonite. An ammonite is unique though in the sense that you really don’t have to replace it because it’s a fossilized creature but it still does cost a lot, natural quartz, gemstones, gold are also some example of the natural Feng Shui cures or enhancers. Today, allow me to share two very simple natural Feng Shui wealth and harmony enhancer. The first one is Sugar. We all know that sugar is bad for the body, it’s bad for the health, but sugar is a good natural wealth and harmony enhancer. Your house should never run out of sugar because no matter how small it affects your wealth luck and harmony luck at home. Brown sugar is better than white sugar, and it has to be real sugar made from sugar cane and not Muscovado or Agave sweetener. Also, using raw sugar cane also works well; in fact, it works better than refined sugar. 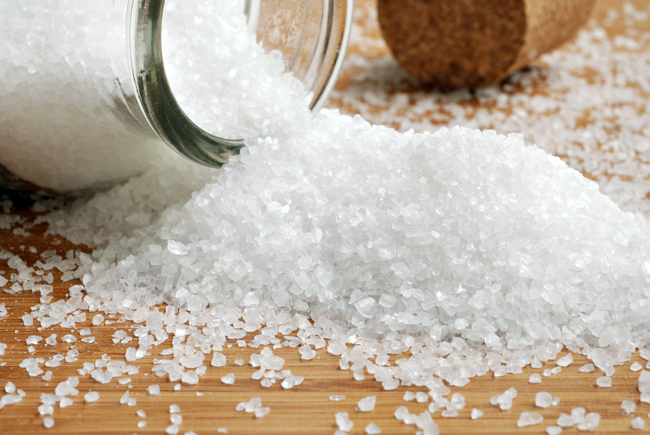 The problem with using sugar is that for it to be really effective it has to be place in a white or red bowl on your dining table and/or coffee table in your living room. 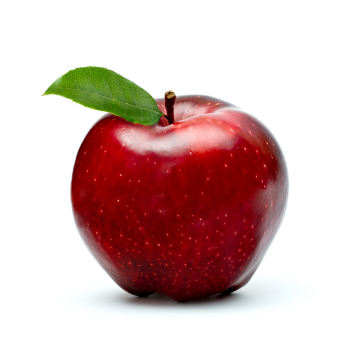 Another natural wealth and harmony enhancer that can be easily bought in a grocery or the market is an apple. For this you need, at least 5 or more red apples on your dining table and/or coffee table in your living room. It has to be 5 or more and not less than 5 for it to work. I really don’t know the explanation regarding the number but Feng Shui experts’ just notice that it works well if it’s more than 5. The problem with sugar and apples as a Feng Shui cure or enhancer is that both are affected by weather/climate and time. 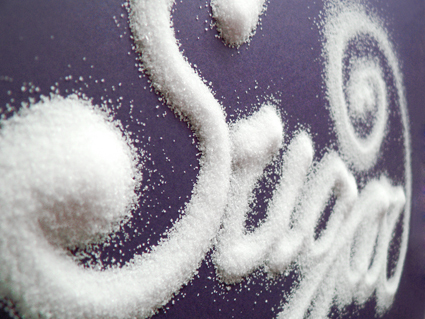 Humidity may make the sugar into big lump of crystals or it may cause it to have some moist. If either of the two things happens, the good Feng Shui will also stop working. In the case of an apple, it will rot. A rotten apple will also cause bad Feng Shui. Nevertheless, you can always replace them with fresh sugar or apple. A friend is scouting for new home and he requested to me check out a place that he’s thinking of buying. He said the price is quite good and he has checked it out and like the place. So yesterday we went to check the place out. The house was beautiful and for a big house, the selling price that the owners were asking for it is quite a bargain. There is only one problem; it is situated at the end of a bridge. Readers of this blog knows that I always say that living space should have a balance of energy. However, balance here means that since it’s a house for the living there should be more Yang than Yin. Balance here means Yin should not be absent, but Yang should dominate the house and even the surrounding of the house. 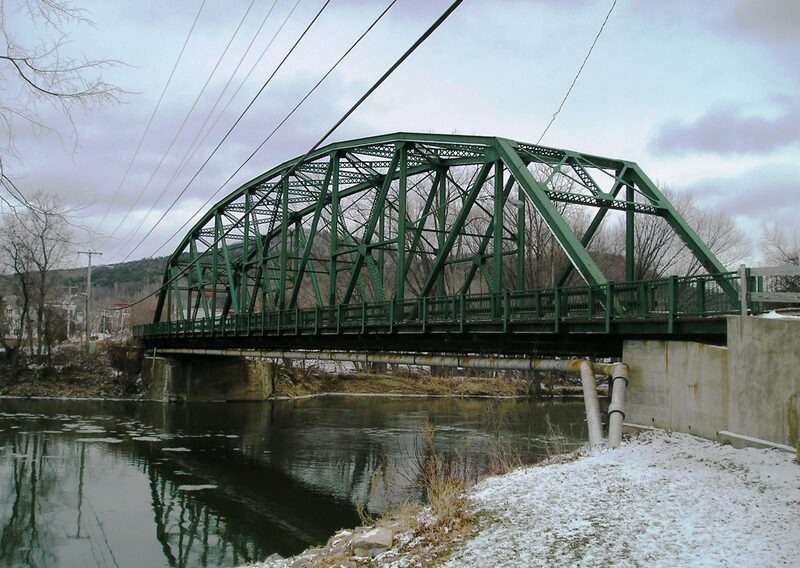 A bridge creates a lot of energy, especially if traffic is quite heavy. Meaning a bridge, because it’s ‘moving’ creates a lot of Yang energy. You would think since its important for a living space to have more Yang this is going to be good. However, the operative word here is ‘balance’ it cannot have too much Yang that Yin is completely overpowered. The particular bridge here is a high traffic bridge and while it continues to a road, the house that my friend wants to buy is right at the end of the bridge. The Feng Shui of the house is actually okay. It has to undergo some Feng Shui renovations but it is not really bad. I explained to my friend, in front of the agent who happens to be a cousin of the previous family who owns the house, that the previous owner of the house may have been wealthy but they could have suffered from any of the three things I mentioned above. The agent was quite surprised with what I said and admitted that her cousins family is quite well off but the patriarch recently got really sick and her cousins has been fighting about the properties even before their parents passed away. The mother, the agent’s aunt, decided to sell off the house to avoid further fighting and decided that she’ll try to spend their money for the hospital bills and enjoy some of it to teach their children a lesson. The patriarch and matriarch have both since moved to a condominium. My friend decided not to buy the property. I don’t have the right to write about fashion. I don’t have any fashion sense that is why in my marketing consultancy business I never took on any clients that has something to do with fashion. For me, clothes are not about what is nice, but it’s more of what’s comfortable and what is lucky or unlucky for me. Many times when I recommend something to a friend and/or relative, they’ll tell me that it’s very unfashionable. Well, I don’t think Feng Shui has to be unfashionable. Feng Shui would be able to tell you what you need to wear or what you shouldn’t be wearing but it’s up to you to make it ‘fashionable’. So, after confessing that I don’t have the right to write about fashion, allow me to share with you a very common bad Feng Shui fashion that I see a lot especially amongst the younger generation. What is that fashion? Ripped Jeans! Maybe it’s not as fashionable now as it used to be, there was a time that it was the coolest thing to wear, however, ripped jeans is one of the worst ‘fashion’ that you can adopt. I know some people would even actually rip their own jeans! The web has a lot of site that teaches you to rip your jeans. But wearing ripped jeans creates bad Feng Shui and may actually steal your good chi or energy. 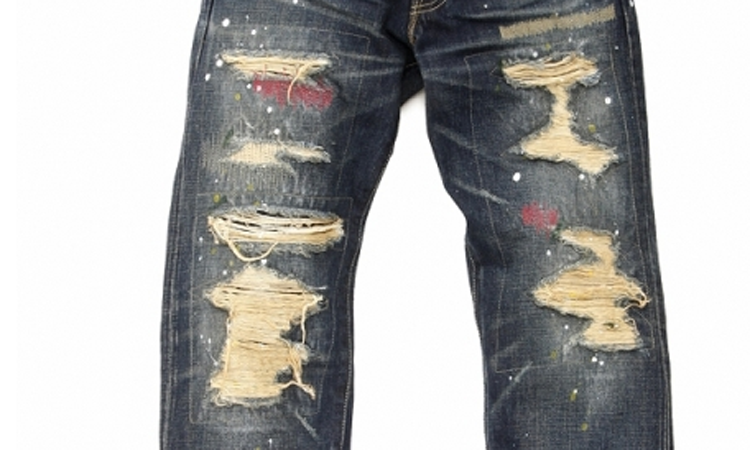 Wearing ripped jeans will create so much bad Feng Shui for you that it will surely have some effect on your career, health, financial life, or even personal life. About a couple of years ago, my cousin called to ask for my assistance. His friend’s daughter used to be an honor student but she has since started to get lower grades. She also has become a little rebellious while she used to be the nicest child among their 4 children. They’re afraid that it could be because of the bad Feng Shui since they’ve just recently moved into a new house. I first did a Bazi analysis of the said daughter, however, it did show that she has the Scholastic Star and that she seem to be a good child and intelligent girl. Next, I did a Feng Shui audit of their house, however, other than minor Feng Shui mistakes the house is actually lucky. In fact, I can’t seem to find any problems that may be causing the change in the daughter. At the time that I went there, the daughter was in school and I didn’t get to meet her. I was exploring the idea that other than Feng Shui could be causing the problem. However, her parents were insistent that everything has been pretty much the same except her daughter and those they’ve recently moved into a new house. I decided to be honest with them and told them that I can’t help them and can’t seem to pinpoint the problem, unless she’s sleeping on a ‘broken’ bed with ripped bed sheets, and I also said that it doesn’t seem to be the case because when I checked her bed during the Feng Shui audit everything seems to be fine. At this point, the mother had a Feng Shui ‘light bulb’ moment! She asked me whether it applies to wearing ripped jeans. I said yes, and as it turn out, as influenced by her friends, the daughter had started wearing ripped jeans about a year before they notice the problem. They talked to their daughter and they got rid of all the ripped jeans. She graduated at the top of her class and needless to say she became her old self again!